Limotek.co.uk covers limo hire in Leeds with a fantastic variety of stretched limousines available to rent in this lively Yorkshire city. With so much to see and do in Leeds you are literally spoilt for choice as the limos on offer will amaze you with their sleek and stylish appearances and features. There are fantastic silver stretch Range Rover limos, black Porsche Cayennes, plenty of amazing Hummer limos, Chrysler c300 Baby Bentley limousines, the fabulous silver Audi Q7 limousine and a black stretch BMW X5 available to rent in Leeds. 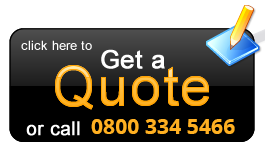 Contact Limotek today for the best limo prices in Leeds. Stretched car rental in Leeds can be used for any occasion or event, e.g. imagine arriving at a restaurant in a beautiful silver Chrysler C300 Baby Bentley limousine or wowing crowds at one of the many clubs in Leeds in an 8-wheeler Hummer H2 limo. The events and occasions for stretched chauffeur services in Leeds are endless and we cover them all. 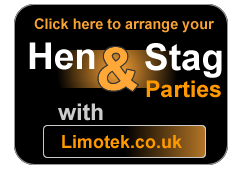 Hen nights, stag nights, weddings, airport transfers, corporate events, birthdays, limousines for retail therapy, limos for the theatre and many more. For wedding cars in Leeds and other stretch limousines for any occasion contact Limotek today. School proms take place in Leeds just like anywhere else in the UK so it’s important to make sure you choose the right hummer or pink limo that makes the biggest impression. School proms in Leeds include the magnificent 6-wheeler Hummer H2 and the gorgeous new Audi Q7 limo. Don’t delay, book your school prom limo in Leeds before someone else does. Contact us today. Our limousine companies in Leeds have over 6 years of experience in the limousine industry which should provide you with peace of mind if you are in any doubt about a reliable and professional service. Limotek has undertaken a great deal of research into bringing you the best limousine operators whilst offering cheap limo deals in Leeds. 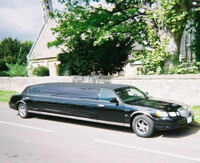 To find out more and to get a quote for stretched limousine hire in Leeds contact us today. You will not be disappointed. Amazing Fire Engines and a wide range of American limousines such as the Lincoln Navigator, Hummer H2 and a superb selection of different coloured stretch Lincoln Town Cars are all available to rent in Leeds. Browse the fleet for the best stretch limo hire in Leeds and get a quote online or contact us by phone and book your limousine hire in Leeds with us today.